Spring is the time a prepper's fancy turns to thoughts of bugging out. I think it was Tennyson who said something like that. Spring is also the time folks look to upgrade their two-wheeling mobility. We have now added a slew of exciting new bikes for sport and prepping. 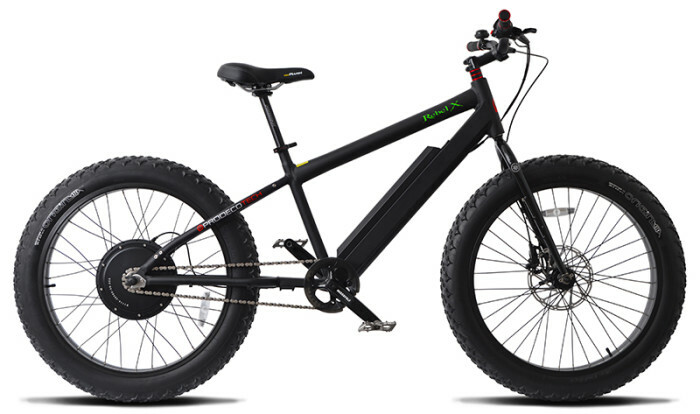 We've got a fleet of new 2016 Montague folding bikes, including several new Paratrooper variations! And we're now an official dealer for the famous, powerful ProdecoTech electric bikes--some of which are also folding bikes for the ultimate in convenience and storability. These bikes are THE bikes to prep with and to have a ball with. Be sure you club members log-in! Offering an X-Treme Gas Scooter too! Electric bikes are a great solution. 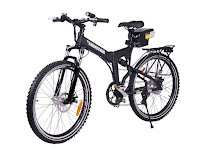 FOLDING electric bikes are a great prepping solution for many folks because they are easy to transport and store, they are quiet, they are powerful (20 mph for up to 25 miles per charge), and you can pedal them as well, when needed. Folding Bikes + Free Case + Free Shipping + Huge Savings (up to 30% off), Need we say more ? Folding Bikes Mega Sale !! Montague folding bicycles are popular, robust, folding street and off-road bikes that trace their 25-year technological lineage to M.I.T., DARPA, and the USMC. As always you get Free shipping in lower 48 states. Add Bike & case to cart, use "FREECASE" at checkout. The Paratrooper is one of the many folding mountain bikes that Montague offers. Its patented folding design was developed and designed to allow airborne soldiers to drop out of airplanes and helicopters into combat. The 24-speed Paratrooper is advanced with front and rear mechanical disc brakes with brake pad adjustment. Montague Crosstown Pavement Folding Bike !! Spring is finally in the air and it's the time when bikers of all types are getting back on the roads and trails all across the land. We offer some of the best folding bikes available ­­ made by Montague for pavement or off­road. And right now, prices across the board on all our folding bikes, all the accessories, and even the Quik­Pak folding bike trailer are discounted. It's an easy to use folding bike offering 7­speeds, 700c tires, and the CLIXTM Wheel Release System. Paratrooper Pro Folding Bike !! Take your off­road riding to the next level with the Paratrooper Pro. With plenty of gears for climbing and 100mm of travel in the front shocks to absorb the bumps of off­road trails, you'll be ready to tackle the toughest terrain. Montague's soft­sided bicycle carrying case, made of 420 Denier nylon, provides great protection at an affordable price. The carrying case features an inner pocket for the front wheel, a direct mount shoulder strap, two side handles, double­layered nylon bottom and the heaviest YKK zipper available. Pak is the one that rises to the top, performance and price wise. The 2011 model is beautiful! It comes with quick­release hubs and axle support system, a tighter turning radius, a modified cargo hold, an internal map pocket, a nicer looking cargo lid, plus all the goodies from before.